When people are asked to describe a typical coach driver, the image they have is most likely an out-dated and rather negative one. Normally they will think of a slightly overweight middle-aged man with his shirt hanging out of his trousers and a rather surly attitude. What they should be picturing is a professional driver with the same commitment and smartness as an airline pilot. 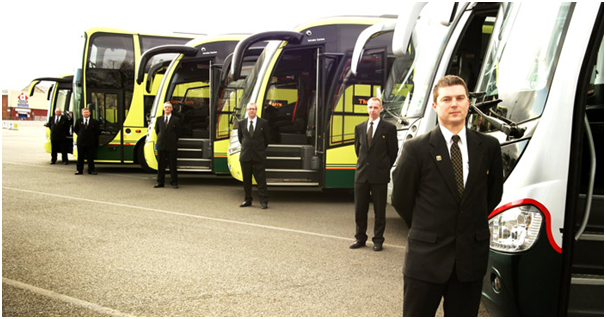 Because of this out-dated and unfair image, the coach industry is struggling to find new, high-quality drivers to employ year-on-year. Fewer recruits are entering the industry. 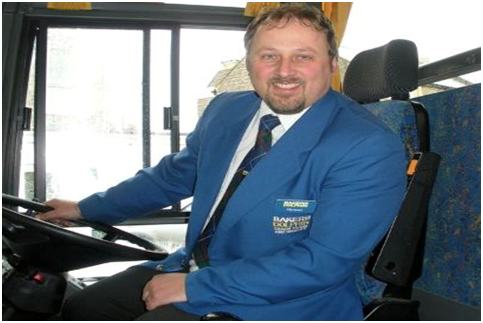 The overwhelming majority of coach drivers are consummate professionals, who take great pride in their appearance, attitude and the upkeep of their coach. So, how do go about changing this perception? There is a huge responsibility placed upon drivers for not a large salary. Combine this with a general lack of respect in the public’s perception and it’s clear to see it’s a struggle to change things. The answer seems to lie in better education of the public and making the industry attractive to new recruits. The industry could invest in encouraging young people to grow up to be coach drivers, as they do with trains or planes. Coach companies and depots could partake in open days where children get to see presentations from drivers. People would get to see how it all works, tour the coaches and maybe even have a ride on a state-of-the-art coach. The coaches could visit schools and companies could offer discounts on future trips, making it the ideal marketing opportunity as well. If all this talk of coaches makes you fancy a coach getaway, then consider Coach hire Gloucester with Coach hire Gloucester service by John Dix Travel. Driver’s presentation could focus on the important responsibilities of the job, similar to the roles of a pilot, train driver or ship’s captain for example. They could talk about the fascinating places they get to see and the interesting people they meet along the way. It’s no mean feat, being responsible for the safety of over 50 passengers and a coach that might have cost £500k. It should be presented as a skilled professional career. The job title should be overhauled too. Coach or bus driver sounds too dated. A snazzy new title could make the profession an awful lot more enticing to young people. Titles like ‘coach pilot’ or ‘coach captain’ are perhaps more appropriate for the modern demands of this job. Especially considering the new vehicles that are entering service are far more technologically advanced than before, requiring a higher level of training and skill to operate them. The training required to do this job should be given an overhaul as well. A greater depth of knowledge should be a part of the training, including more business aspects, European tour knowledge, laws and procedures for driving in different countries and even simulators that would allow drivers to practice dealing with emergency or safety situations. This would help to give their job a more professional feel and provide them with the acknowledgement they desire and deserve. ← What to consider when looking to design your website.